"My coaching frees the spirit of the leader, thus allowing for the executive to lead from the heart – the most authentic, rewarding, sustainable leadership of all." Nanci Raphael is a powerhouse in the field of executive development and a consummate model for successful coaching results. 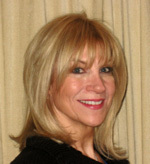 Her intuitive insights, proven technology, and ability to connect with people transports personal power, limitless potential, and the production of significantly advanced results. Nanci’s robust experience and background gives way to her keen focus on impacting an organization’s bottom line. As an executive coach for leaders who are responsible for driving business and accountable for results, she has combined her own experience as a successful entrepreneur, founder and CEO of companies, with the practice of coaching thousands of business leaders. Merge that with her knowledge and passion for executive growth and development, and you will quickly understand why she has been labeled a foremost authority in leadership development and executive coaching. Nanci can quickly assess the barriers blocking potential and from there partner in the undertaking of growth for the leader's performance. The basis of her coaching is that unlocking human potential allows for individuals to reach results never produced before, therefore, assisting them to grow their businesses exponentially, make more money, be more fulfilled, and leave a greater legacy for generations to come. The Philadelphia Business Journal named her organization twice in its Book of Lists as a top management consulting firm and a top woman-owned business. Nanci is the founder of Leadership & Executive Development, LLC. Nanci’s coaching engagements have included public and private enterprises, Fortune 500 companies to entrepreneurial organizations, where she coaches: business owners, C-level executives, senior management, sales teams, solopreneurs and teams. High content speaker and trainer for keynote speeches, motivational presentations, seminars, and breakout sessions for businesses, associations, organizations, conferences, and events. Nanci’s presentations and training programs help leaders to become more productive, effective, and vital to an organization’s growth. Nanci's book, The Entrepreneur’s Guide to Mastering the Inner World of Business, helps business leaders with the toughest game they’ll ever face – management of obstacles that make it difficult to perform at peak levels. She has also contributed to and written articles for a myriad of publications on the topics of business, career, and leadership. 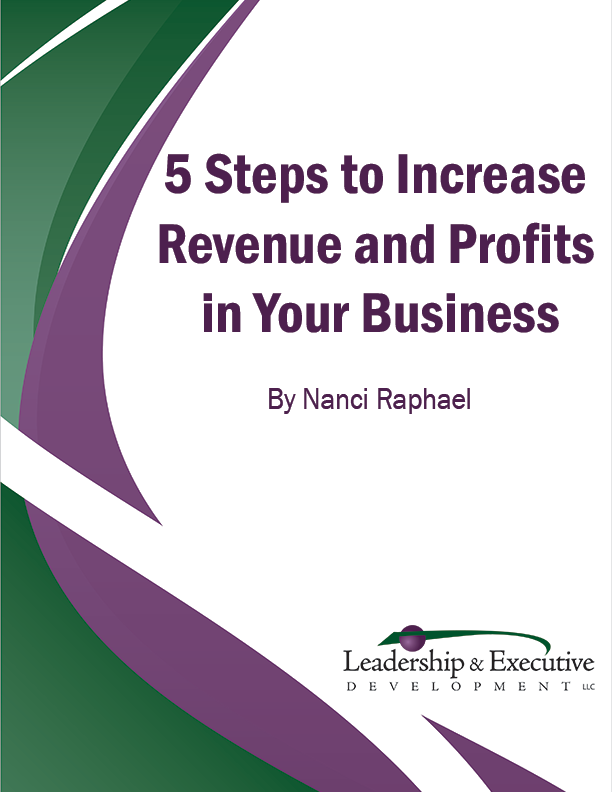 For over 20 years Nanci Raphael has worked with thousands of business leaders from Fortune 500 companies to small businesses to help them accelerate growth, enhance leadership, increase sales, boost customer service, and build high performing teams. Are you a high achiever who is committed to success? Are you ready to take serious and consistent action, letting go of all excuses? Manage your time and prioritize tasks. Maintain clarity even in times of turmoil. Motivate others through conscious communication skills. Achieve balance in your work and life. Sales development strategies that work. Efficient and effective organizational systems.